Leathes Prior is well known for its niche insolvency practice and is one of only a handful of law firms in the East of England that has lawyers dedicating all of their time to insolvency law and practice. The team offers specialist advice on insolvency and recovery for both businesses and individuals. Our Insolvency solicitors provide specialist assistance with corporate recovery and turnaround procedures including Company and Partnership Voluntary Arrangements, Voluntary and Compulsory Liquidations and Administrations, advising both office holders and directors. Our expertise also covers director’s disqualification proceedings and defended misfeasance and wrongful trading actions against directors. Misfeasance where the director has breached his fiduciary duties to the company. Directors should therefore seek advice as soon as possible to minimise their potential liability. Leathes Prior advises many Licensed Insolvency Practitioners, both locally and nationally, who accept appointments as Liquidator, Trustee in Bankruptcy, Supervisor, Administrator or Receiver. The team advises on all aspects and legal problems faced by Insolvency Practitioner. At Leathes Prior we recognise that Office Holders may not be in funds to finance litigation and therefore we are prepared to act on formal or informal conditional fee agreements, with or without the benefit of after-the-event insurance protection. The team’s expertise was recently recognised at the ‘Finance Monthly Awards 2015’ as Leathes Prior Solicitors won the ‘Personal Insolvency Firm of the year’ award. The practice can only be described as first-class. At Leathes Prior, the service is excellent in all respects, representing many of the region’s largest insolvency practices. Working with this team, you get good, original advice. The Insolvency Team is recognised for its technical strength and full-service offering to insolvency practitioners, with complementary expertise in areas such as employment and property law. The team provides practical ideas as well as technical solutions. Working with this team, you get good, original advice. Leathes Prior rivals much larger firms and provides knowledgeable and commercial advice. Acknowledged experts in their niche, Leathes Prior is one of the few firms in the area that has shown a real commitment to this field. The team provides practical ideas as well as technical solutions. An excellent and prompt service. The team at Leathes Prior has good strength and is practical, technical, and calm in a crisis. The service is excellent, with staff regularly going above and beyond what is expected of them. An extremely commercial firm and always willing to provide practical solutions when they can. An extremely competent and supportive team. Leathes Prior has a niche practice that specialises in bankruptcy annulments, in which it acts not only for clients in East Anglia, but also across the UK. The firm pools its expertise in employment, regulatory and property law to advise local IPs and individuals on corporate and personal insolvency. 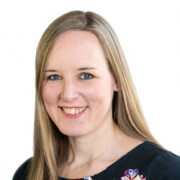 Solicitor Ina Beurich leads the team and provides excellent service. 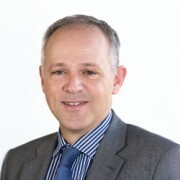 She is supported by head of litigation Mike Barlow, whose broad practice includes commercial disputes involving insolvency issues.